ELLICOTT CITY, Md. 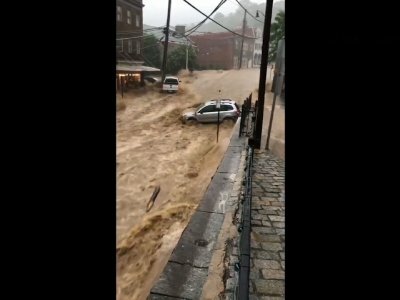 (AP) — A man remained missing Monday after flash flooding tore down a historic main street in a picturesque Maryland town and left a community heartbroken at seeing more devastation less than two years after rebuilding from another massive flood. 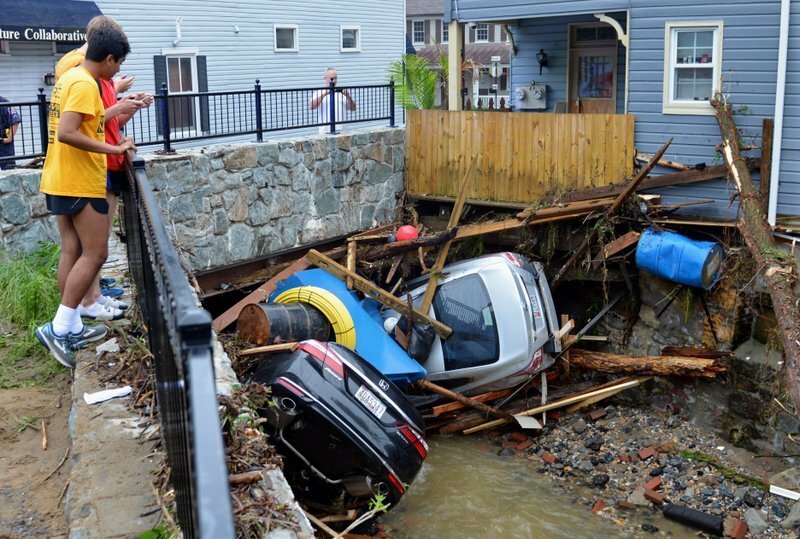 Sunday’s dramatic flooding tore up streets and swept away dozens of parked cars in the city, which sits in a ravine on the west bank of the Patapsco River, about 13 miles (20 kilometers) west of Baltimore. Mike Muccilli, a meteorologist with the National Weather Service in Sterling, Virginia, has said it was too early to make comparisons between the two floods. But he said both were devastating. In the July 2016 storm, Ellicott City received 6.6 inches (17 centimeters) of rain over a two- to three-hour period. On Sunday, the community received some 8 inches (20.32 centimeters) of rain over a six-hour period, but most of it fell during an intense, three-hour period, Muccilli said. Aerial footage of flash-flood damage in Ellicott City, Maryland.